On D2 I primarily worked as the weapons artist. 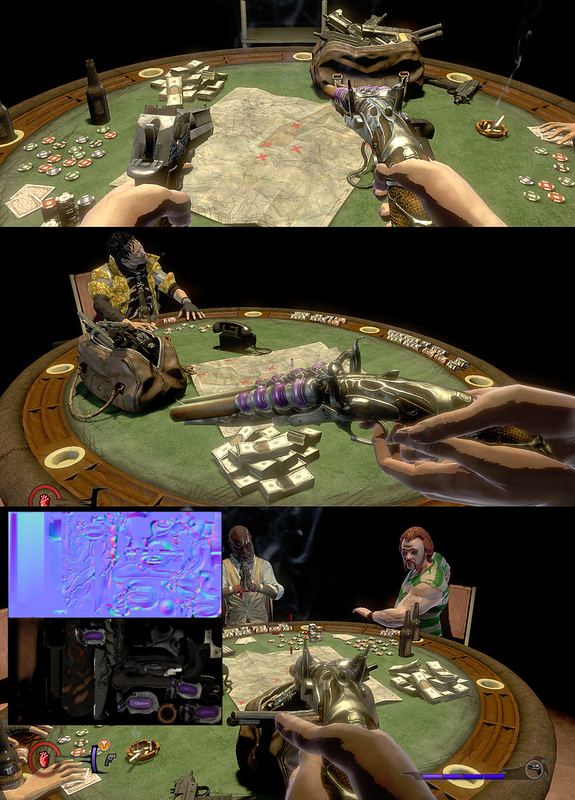 I did modeling, texturing, maintaining outsourced art and some of the in engine setup. 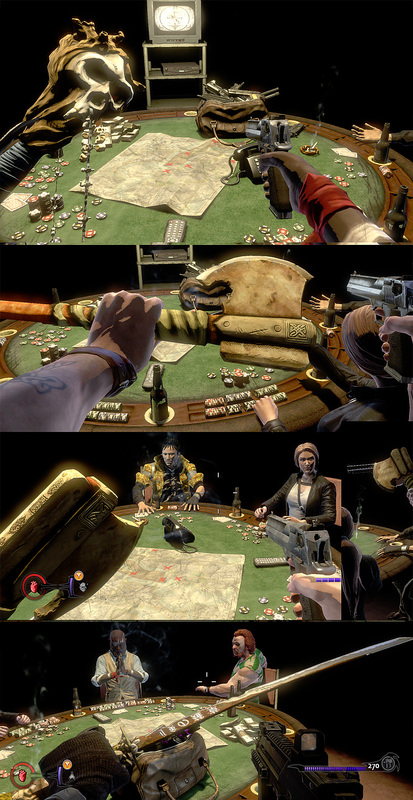 These were the multiplayer weapons for the game. The first was an antique pistol for Shoshana. The other characters all had unique pieces as well. 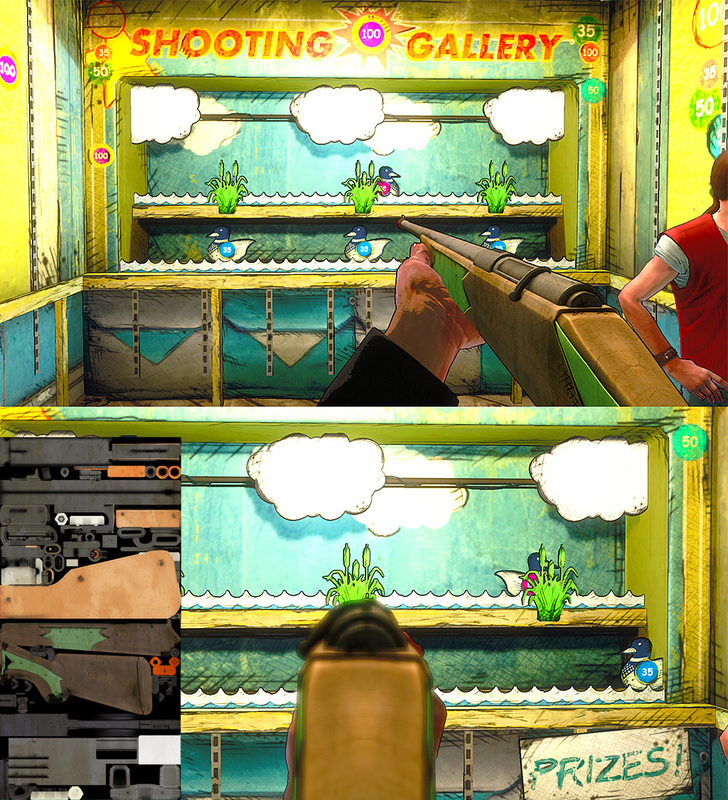 We also did a pair of quick weapons for the carnival level. Fun, especially when it's not the type of game you would expect to play duck hunt in.